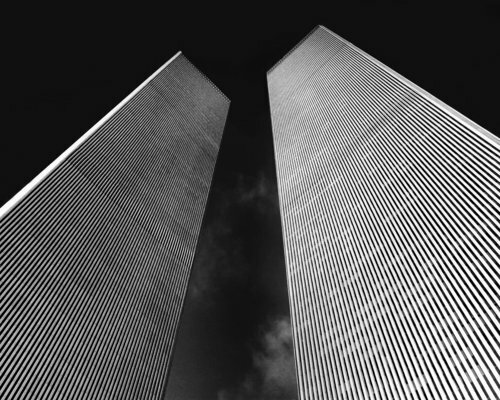 'TWIN TOWERS' by Daniel Cuesta - DPC Prints! circa 1978. Shot with an Olympus 35mm with tri-x. This is the first time I have made this image available. Being so close to this disaster I did not even want to market it. Well, time has elapsed. It has the grainy charm characteristic of this film. Finely detailed as an 8x10 study.